Parenting After the Death of a Child: A Practitioner’s Guide addresses this complex and daunting dilemma. 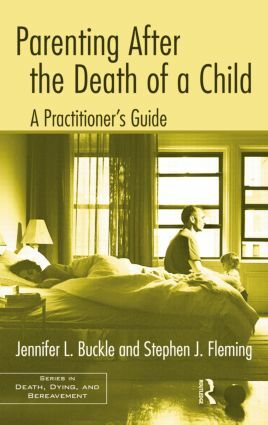 Following on the heels of a qualitative research study that involved interviewing bereaved parents, both fathers and mothers, Buckle and Fleming have put together several different stories of loss and recovery to create an invaluable resource for clinicians, students, and grieving parents. The authors present the experience of losing a child and its subsequent impact on a family in a novel and effective way, demonstrating the strength and importance of their book for the counseling field.